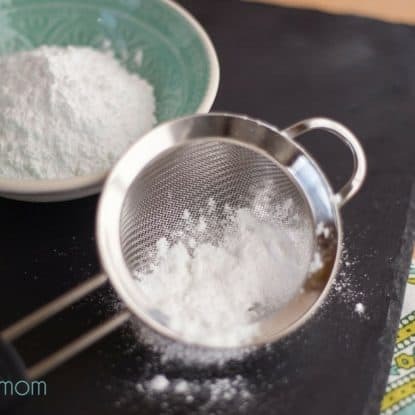 Today I'm sharing with you something that has really helped us as we have moved to a healthier lifestyle (especially around the holidays) — how to make powdered sugar (including a low-carb option). 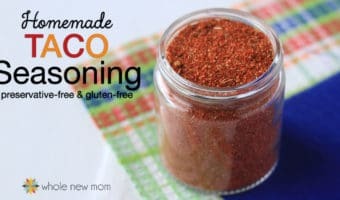 I love making homemade versions of pantry staples and processed foods to save money on whole foods and to have healthier (and cheaper) versions of packaged foods. easiest homemade coconut milk are staples in our home. This powdered sugar substitute is yet another big help in this department. 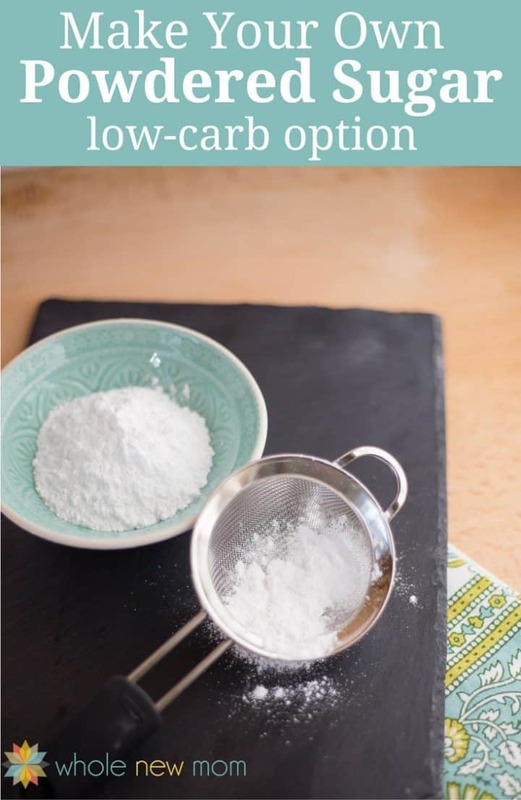 It costs less than store-bought powdered sugar, plus you can use healthier and even low-carb sweeteners to make this Substitute for Powdered Sugar, so it will easily meet your dietary needs. You've been there, before, haven't you? 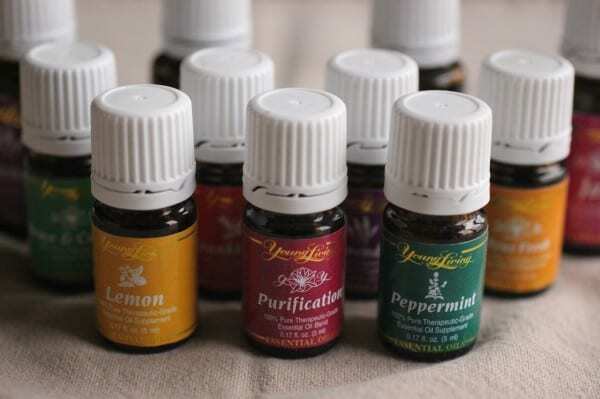 You're making something in the kitchen and you ….oops–run out of an ingredient that you need. 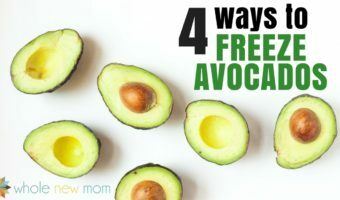 Of course, you could call your neighbor to see if they have what you need, but more often than not, sadly, we aren't as connected with our neighbors as we used to–and many of them are not at home as often, so it's hard to just run next door to borrow a few eggs, or whatever you've run out of. (Side note – it isn't just recipe ingredients that you might need from a neighbor. 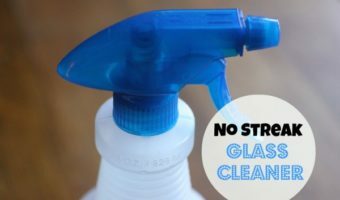 Here's a story about how we almost flooded our basement and how a neighborhood connection and a water alarm saved us! So this is another great reason to know how to make powdered sugar so you can avoid a last minute trip to the store–or a ruined recipe. Years ago, I tried to find out how to make powdered sugar when we were on an incredibly strict budget. We were living off of only $14,000 a year. Yes, we were living with my inlaws, so our expenses were low, but it was still tight. Every penny counted. I mean, when you are wondering if you should “splurge” on powdered sugar, you know money is tight. So I did some digging on the internet to see if it was possible, and yes–it was! Recently, I was reminded of wanting to write this post on a substitute for powdered sugar when I posted this past week my recipe for Luscious Lemon Bars. I mentioned that you could top them with powdered sugar and promised that I'd post about how to make your own confectioners sugar in the near future. Well, here it is. You are not going to believe how simple this is–you'll wonder why you weren't doing this for years. First gather a blender (or food processor), your sweetener, and then one other ingredient and you're done. For the sweeteners, sucanat, turbinado or coconut sugar would be typically considered to be the healthiest of the granulated sweeteners. Now Foods offers great prices on healthier alternative sweeteners. Xylitol and erythritol are other options that will not affect your blood sugar and they are also a help as they do not feed candida. 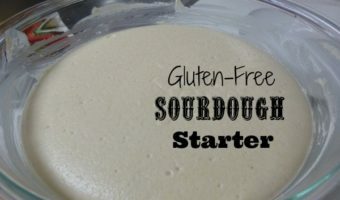 Personally, I love making this substitute for powdered sugar, and so many other things, in the Vitamix. There are other great high powered blenders out there, but the Vitamix is my fave. I'll share more on why later. 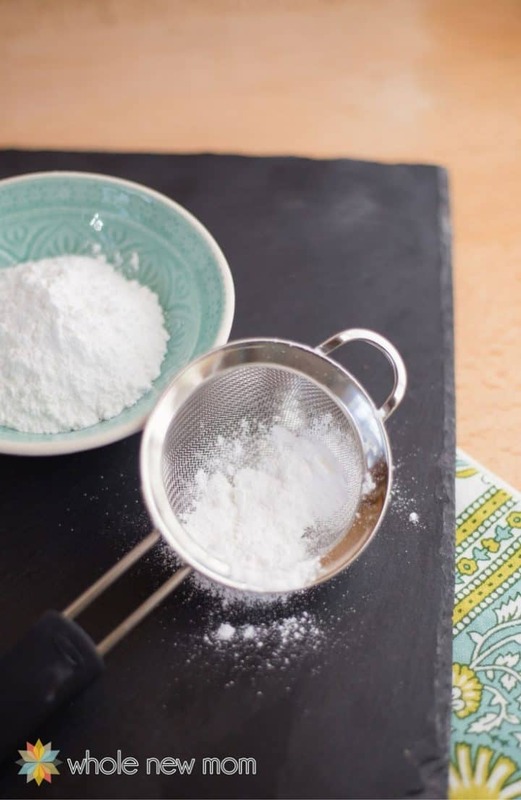 You can make this Powdered Sugar Substitute in a regular blender too, but it's super fast in a Vitamix. in drinks. It will dissolve more easily. 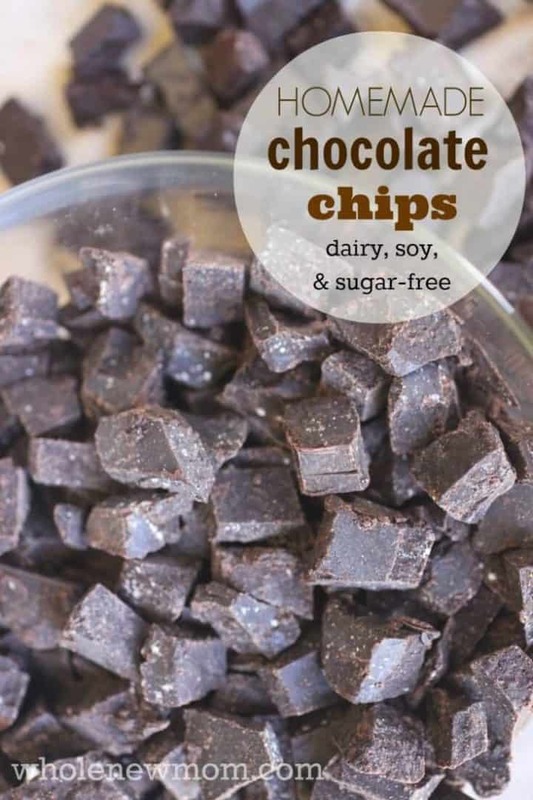 For example, I powder my sweetener often when making my Homemade Chocolate / Carob Chips since makes the resulting chips much smoother. 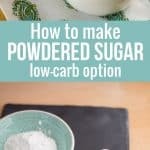 – cheaper low-carb sweeteners. The specialty powdered sweeteners are not only hard to find, but they are prohibitively expensive. For example, this powdered organic erythritol is more than $12 a pound! 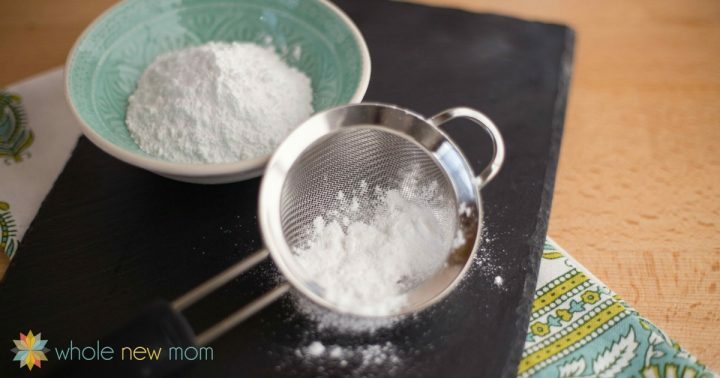 Make this substitute for powdered sugar instead and save tons of money! 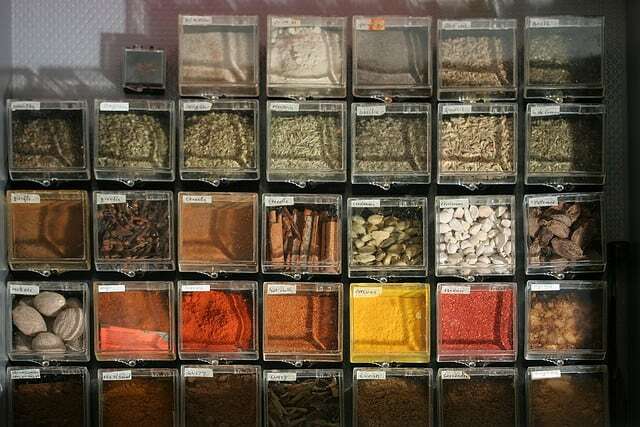 And in case this whole topic has you craving more DIY pantry basics…..
Arrowroot: You can substitute organic arrowroot or tapioca starch for cornstarch. 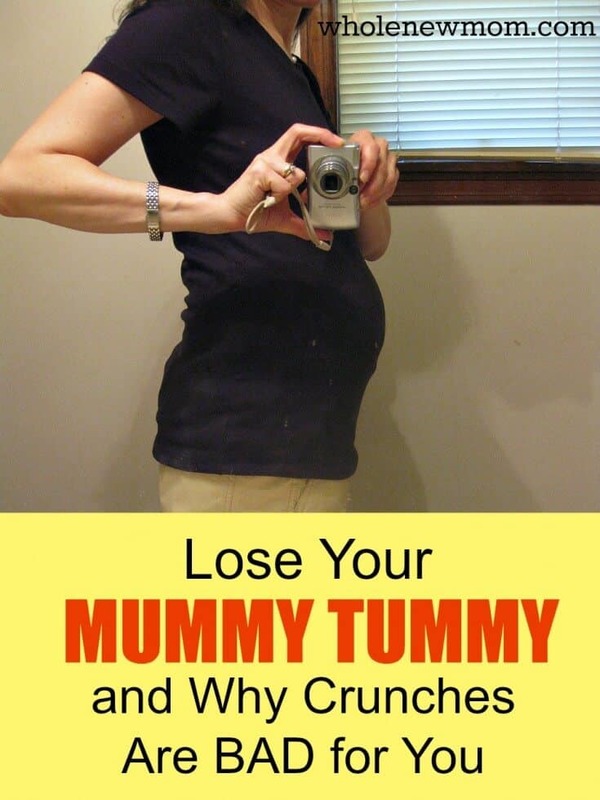 If on the Trim Healthy Mama eating plan, omit. Starch Ingredient: The cornstarch / other starch portion of the recipe helps the powdered sugar not to cake. It's not necessary but preferable. Chocolate Pie: For another recipe in my collection that uses powdered sweetener, try Dairy-Free Chocolate / Carob Silk Pie with Almond Crust. Yumm! You can use organic erythritol instead of xylitol. I know that xylitol and erythritol are not typically considered “whole foods,” however I can't eat sucanat or coconut sugar, or else I would — gladly 🙂 (use either of these for AIP). That's why I use xylitol and erythritol quite a bit in my recipes. Hopefully the coconut sugar will be in my not-too-distant future since its glycemic index is much lower! 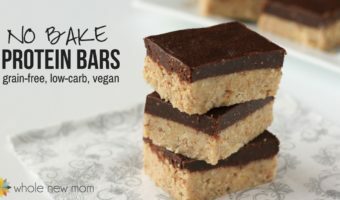 (Thanks, Ricki at Ricki Heller for the reminder of this great healthy sugar alternative!) However, xylitol and erythritol are naturally occurring so many consider them to not be artificial sweeteners, like aspartame and saccharin. Xylitol has the same sweetening power as sugar but erythritol is only about 70% as sweet as xylitol so adjust your recipes accordingly. If you choose to powder sucanat, the resulting product will be light brown. But it will still work in your recipes and will taste great. See this Unrefined Powdered Sugar to see how it looks. Cane juice crystals are almost as refined as white sugar so in my opinion they aren't as good of an option as sucanat. For another recipe in my collection that uses powdered sweetener, try this Dairy-Free Chocolate / Carob Silk Pie with Almond Crust. Yumm! You can still make things like buttercream frosting without powdered cane sugar, just make this homemade unrefined powdered sugar! Place the sweetener and either cornstarch or arrowroot into your blender or food processor. (I highly recommend the Vitamix!). Blend on high continuously until the mixture is of uniform powdered consistency. In a high-powered blender like the Vitamix this will take only about 30 seconds. What would you use this powdered sugar substitute for? Hello Nadia. First of all thanks so much for reading. I assume you are joking :). If not, you could go back and see the handy “jump to recipe” button that I have at the top of every recipe post. 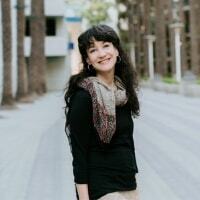 I’m working to get it on my DIY personal and home care posts too. Hope that helps and thanks again! !